When the final zipper was zipped and I was ready to open my eyes and look, I was overwhelmed. My dress is perfect. When I walked out to my waiting mom and sissy, we all started crying. Even the seamstress was weepy! I’ll give you a full review of my incredible seamstress super soon but for now, here’s what I promised you. Almost all of it. I was going to give you the whole kit and caboodle but I had a change of heart. 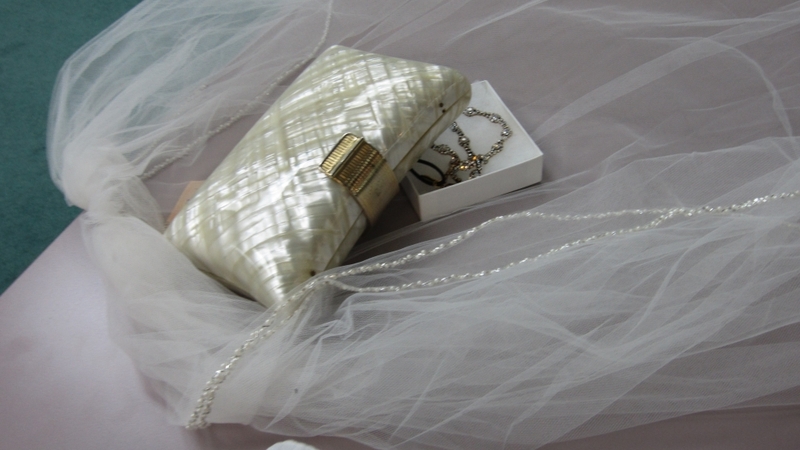 At this point, you can piece the dress together by pictures… but there’s still a little mystery left if you want it. I brought all of my accessories today as well, to get a feel for how everything came together. So you’ll get a peek at that too. 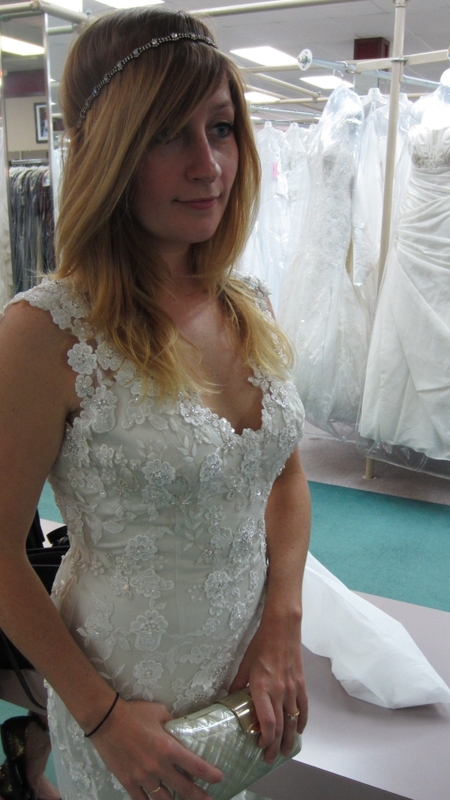 Tags: bridal mart, Darlene Morgan, final dress hint, Holy Moly, Mine, REVEAL, wedding dress. Bookmark the permalink. YOU. LOOK. AMAZING. So beautiful 🙂 Can’t wait to see you walk the isle. LAWZY, GURL. SOMEONE HIT YOU WITH A WHOLE TREE FULL OF PURTY STICKS! BTW, is that the wtoo Vanessa? Because if it is, I really really really wanted that dress. OH STOP IT. Really?! It’s the Allure Bridals 8800. Well hi there!! And thank you! I’m stalking your blog right now! That is quite possibly one of the prettiest bodices I’ve ever seen! I mean, it’s no princess dress (nudge nudge) but it will do! And thank you! I’m stoked about it!